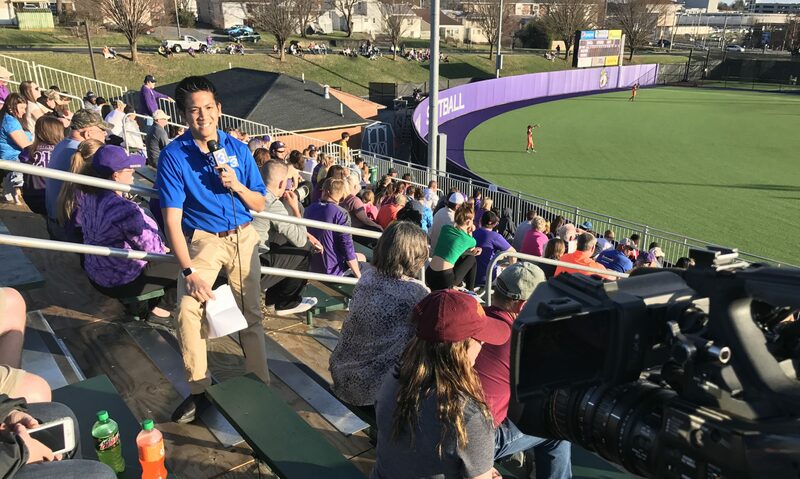 It’s been nearly six months since I left the airwaves at WHSV-TV in Harrisonburg and began a journey to “find myself”. Since then, I applied to a whole bunch of positions both on- and off-air while also making the most of my time off. I’m happy to say I’m now part of a talented sports team at WFXR-TV in Roanoke, Virginia. Before I go any further, I realize this post might come off as a bit vain. But I also know how incredibly terrifying, lonely and downright depressing searching for your next chapter can be. While some are able to roll right into their next job, others are still waiting. Five months is awhile to go without a job and there are people out there, especially in the broadcast industry, who have been waiting even longer. So hopefully the lessons I’ve learned can help at least one other person out there still looking for “purpose”. I spent the first two weeks of my #funemployment watching the Olympics. When that ended, suddenly I faced the grim reality that I wasn’t just gonna be handed my next job. I had to go down an unknown path that I’d travel largely on my own, making decisions mainly for well…me. Knowing I suddenly have lots of time on my hands, but with no steady income streaming in, I had to have a strategy. More importantly, I needed a pep talk that I could give myself. Like a map that I could consult if I ever got “lost” trying to find myself. 1) Be You. Do something that aligns with your beliefs and values and promotes your brand. The main takeaway here is that you’re in control, no one else. You can’t figure out what to do next if you don’t know what you want. The whole point of going through the process of a career change (whether it was your choice or not) is to make yourself happy. 2) Reach out. Send an e-mail, text a friend, go out with a buddy. You’re never alone. This was a key thing for me in the whole process. While the entire journey is one you take largely on your own, you don’t have to be alone the entire time. I’m so lucky to have the friends that I had because just having people to simply talk to about job applications, interviews, rejections, etc. helped so much. Plus, your friends and family help to get your mind off of the stress of a job hunt. I saw more movies in the last five months than I did in the last six years. 3) Advance the process. If you trust the process, take the next step. Whether that’s another job application, resume, cover letter or phone call. Make a move. No one is going to just hand you a job. You’re gonna have to make the effort. You can’t hit a home run if you don’t swing. 4) Take advantage. You have all this free time now. Do something you wouldn’t have done before because you were working. Go on a hike, watch a movie, read a book. I went to the gym a whole lot more. Binge watched “This Is Us”. And went to Busch Gardens for the first time. I had so much fun I went again a month later. The biggest realization I had looking back at my search is that the job has to fit into YOUR life, not the other way around. It took me a long time to figure that out. I started out applying everywhere, both on-air and off-air positions. I thought I wanted to leave the broadcast business and go into public relations. I wanted to stay in Virginia so badly that I went on Craigslist looking at jobs with restaurants, breweries and house cleaning. I even became an Uber driver! And after just one month of searching, I even thought about going back to my old station. I had a meeting with my former boss about possibly doing morning news or becoming a photographer, even though it would have paid less than I had been making as a sports director. I was all over the place and my old boss knew it. That’s when he gave me some really good advice. In hindsight, I had to go through all of that searching to figure it out. I realized looking outside the industry wasn’t gonna make me happy in the long run. While I may enjoy food, I didn’t want to work in a restaurant. While I like driving and meeting people, I wasn’t gonna be a full-time Uber driver. Even when I had interviews with the company of my dreams, it was in positions that weren’t exactly the right fit. A job search is exactly that — a search. You’re gonna cast a wide net. You’re gonna hit a bunch of road blocks and face your share of rejections. But you’re also gonna figure out what makes you happy and what works for you. And that’s what’s important. At the end of the day, the grass sometimes isn’t always greener. I ended up figuring out that I wanted to stay in the sports broadcasting business, but at a place that gave me new challenges. At the same time, I wanted to stay in Virginia, where I had called home for the last four years of my life. I was at the point where I didn’t want to hit the reset button and start fresh. Not now at least. Searching takes time. Longer than you probably expected. So pack your patience. If you would’ve told me in February that I’d still be without a full-time job by the Fourth of July, I wouldn’t have believed you. But it happened. Life happens. I had interviews with a bunch of places, from Florida to San Antonio. From Oregon to Connecticut. With every opportunity and subsequent rejection, I narrowed down my search. Eventually, I found the perfect fit. I’m a big believer that everything happens for a reason and things work out. I got lucky. I have friends who were truly there for me when I needed them. I had freelance gigs that kept food on the table and a roof over my head. And most importantly, I had patience. My “sabbatical” took way longer than I thought. And while it was a journey, I certainly took the time to enjoy it every step of the way. Every person I meet, I try to see the best in them. They appear in your life for some reason and you never know when they might be able to help you down the road. The television news business is incredibly small. And it’s safe to say that I wouldn’t be where I am today without the relationships that I have cultivated in the past. I’m lucky to say that I have a lot of people in my corner. And for that, I am forever grateful. So here’s to proving them right. I’ve been at my new job for a week now and I’m looking forward to what’s ahead.